Kaguya started giving Chika noogies accidentally when she realized she had a chance to spend extra time with Miyuki due to a typhoon. 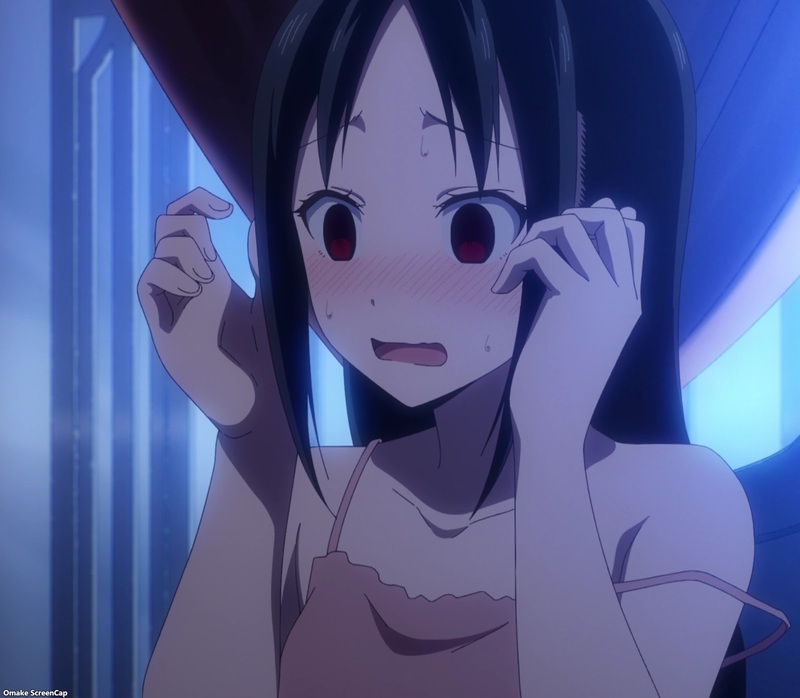 Chika is very scared of thunder and more so because of her superstitious belief the thunder god will steal her belly button if she hears the thunder. 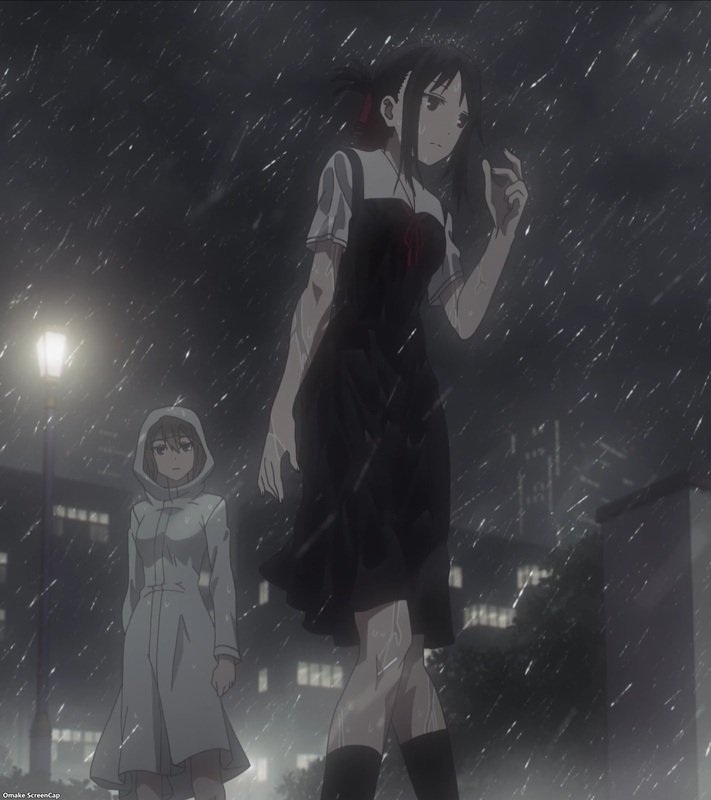 Once Kaguya removed "the agent of chaos" from maneuvering Miyuki into accepting a ride home in the rain, she had to make sure Miyuki didn't take the trains which were still running on time. This involved installing a dead battery into his phone, but it didn't work because he just rode his bike faster, splashing her on the way out of school. 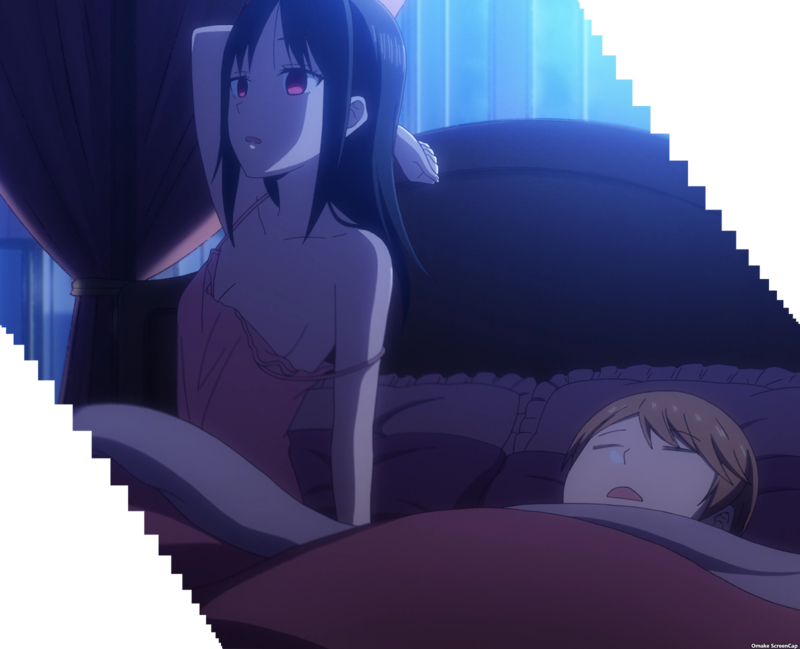 Kaguya got a fever because of the cold and wet and Hayasaka maneuvered Miyuki into spending time with her during her fevered dream. She woke up next to his sleeping form and pandemonium ensued. 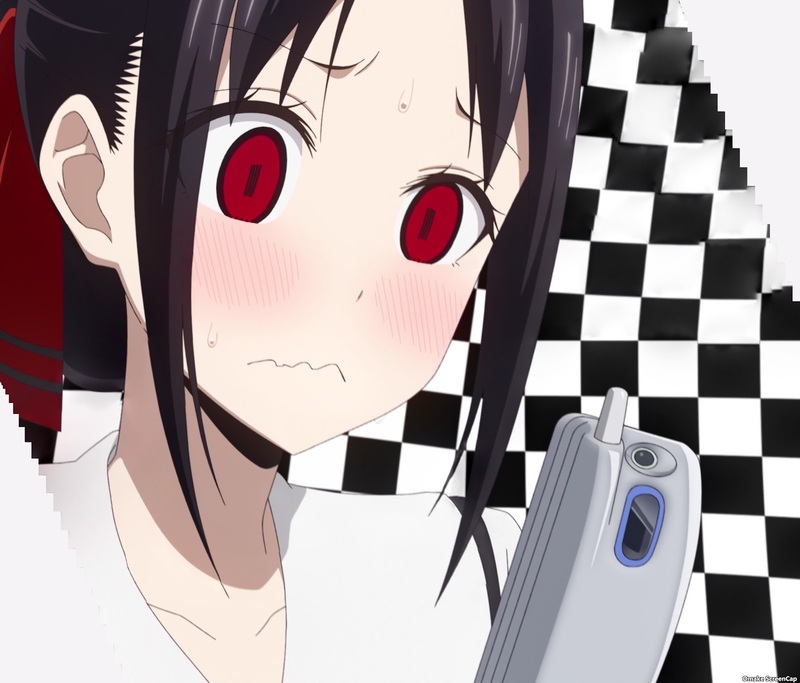 Hayasaka was disappointed nothing happened.